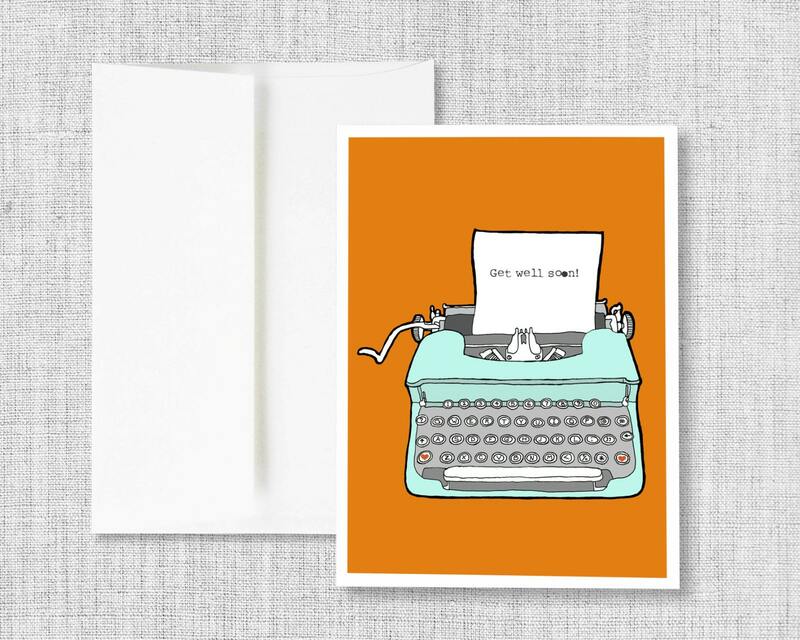 greeting cards, greeting card set, blank greeting card, cards, vintage typewriter, retro typewriter, blank card - "Typewriter Get Well"
This typewriter was drawn by hand and is a great way to send a note to someone you're thinking about. It has a "Get Well Soon" message typed on its paper in a vintage typewriter font, much like the one a typewriter of this era would use. It is colored a robin's egg blue, popular in the fifties and is set against a bright orange background. 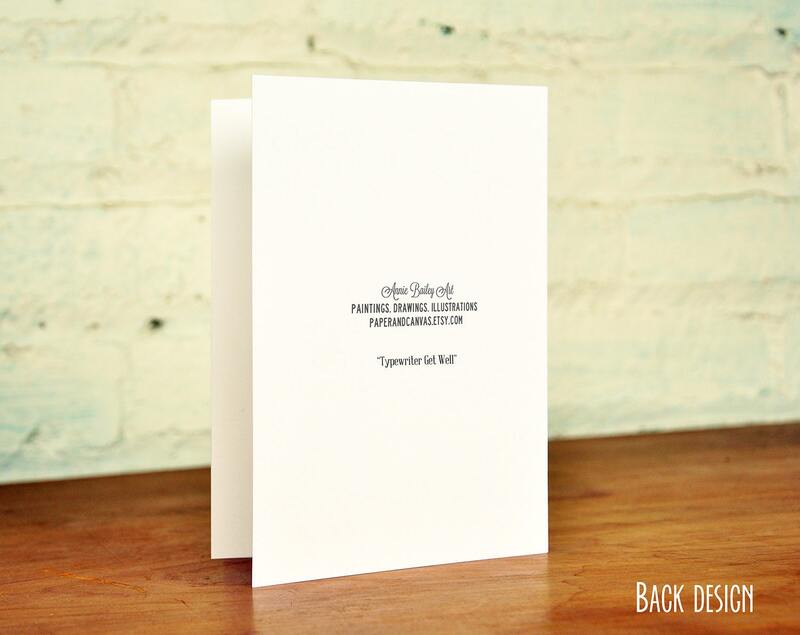 Our greeting cards are printed onto heavy-weight natural white card stock. Each one comes with the title of the art on the back of the card and a matching white envelope. 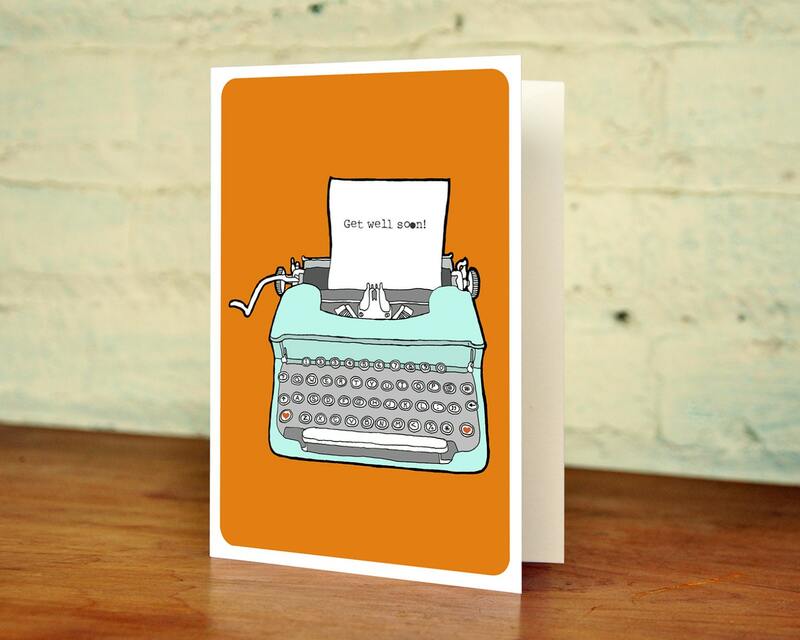 The cards measure 5x7 inches and are blank inside to use for a variety of occasions. They come in singles, or sets of 4, 6, 10.